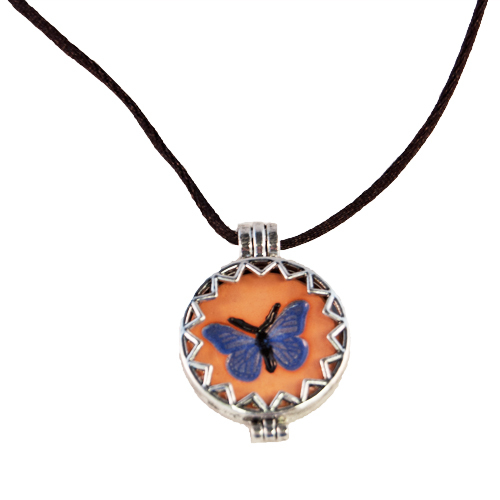 Butterfly aromatherapy locket diffuser necklace, terracotta pendant with a glazed blue butterfly. These terracotta pendants are raw so that essential oils can be added and placed inside the locket. Butterfly aromatherapy locket diffuser necklace, terracotta pendant with a glazed blue butterfly made by Adriana Ortiz-Presley. Approximately 1″ in diameter. 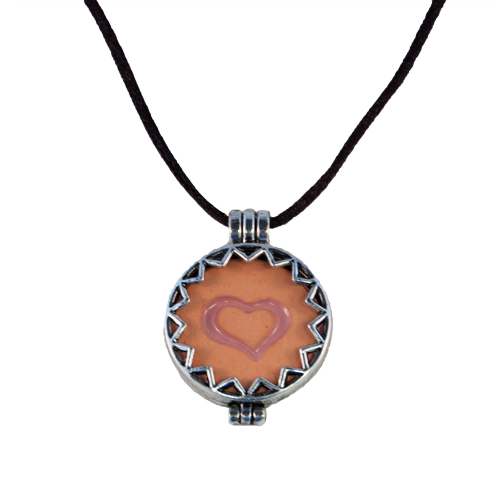 These terracotta pendants are raw so that essential oils can be added and placed inside the locket. Attached to a 22″ black satin ribbon cord with a lobster clasp. These pendants are kiln fired so they are durable enough for everyday use. 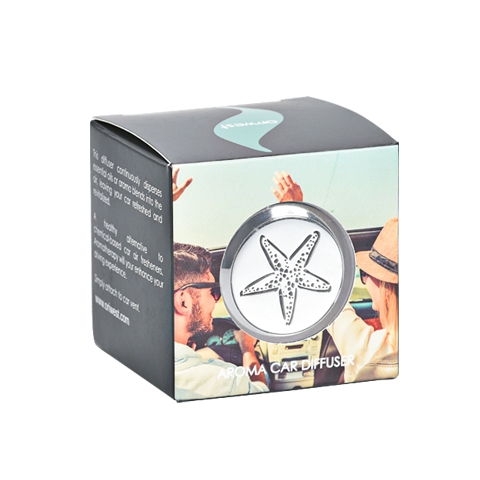 The locket is a lead and nickel free alloy. Road rage, anxiety, frustration? 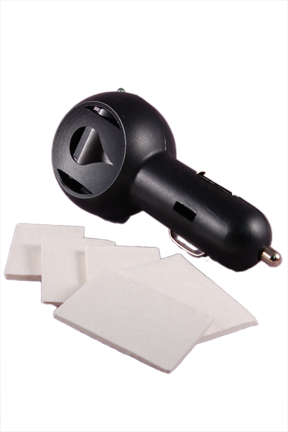 Try using essential oils in your car.